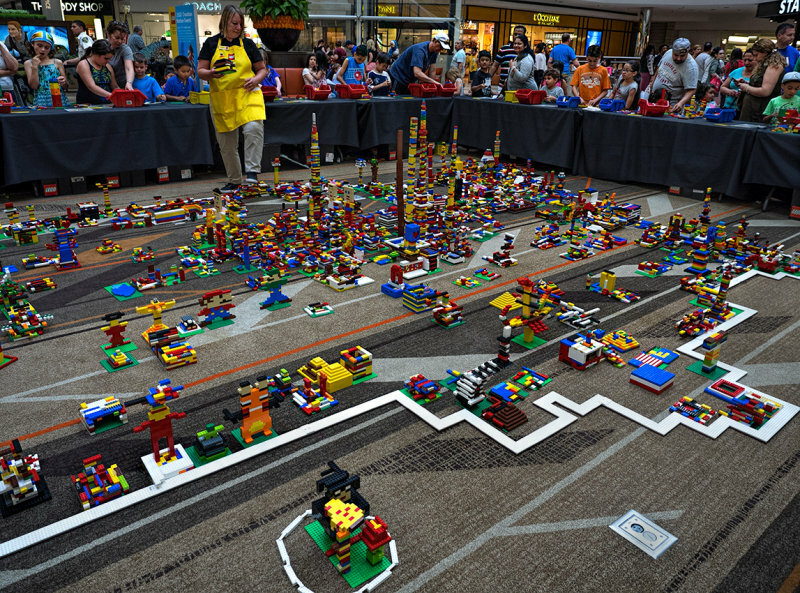 Frank Brault | all galleries >> Galleries >> Street, Urban, Pub, Mall, Water, Beach, Marinas > Grand Opening of a Lego store at the mall. In the background are children - and adults :) - playing with Lego bricks. Cool colorful photo of all these creative artists at work. I've been a Lego aficionado for over fifty years.